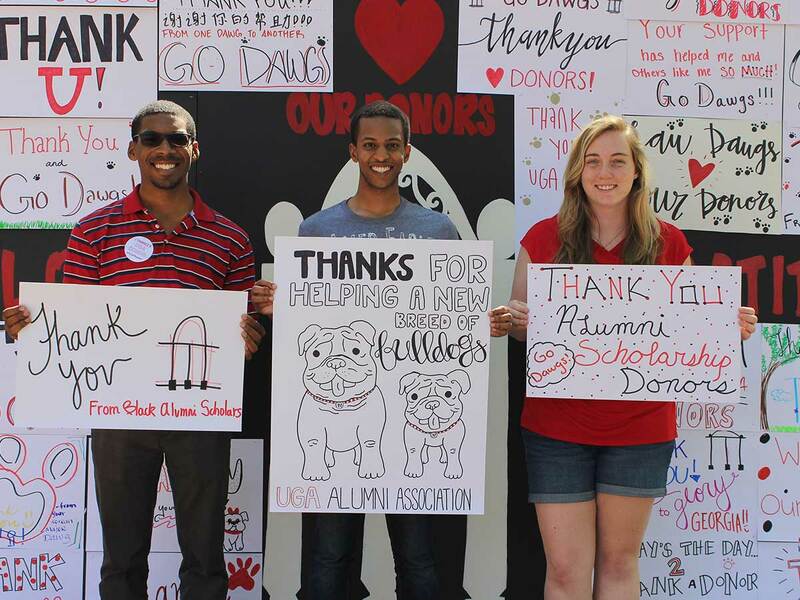 From Freshman Welcome to Commencement, the Student Alumni Association (SAA) keeps you connected with the traditions and spirit of UGA, while also providing valuable networking opportunities for student donors with UGA’s more than 319,000 living alumni. 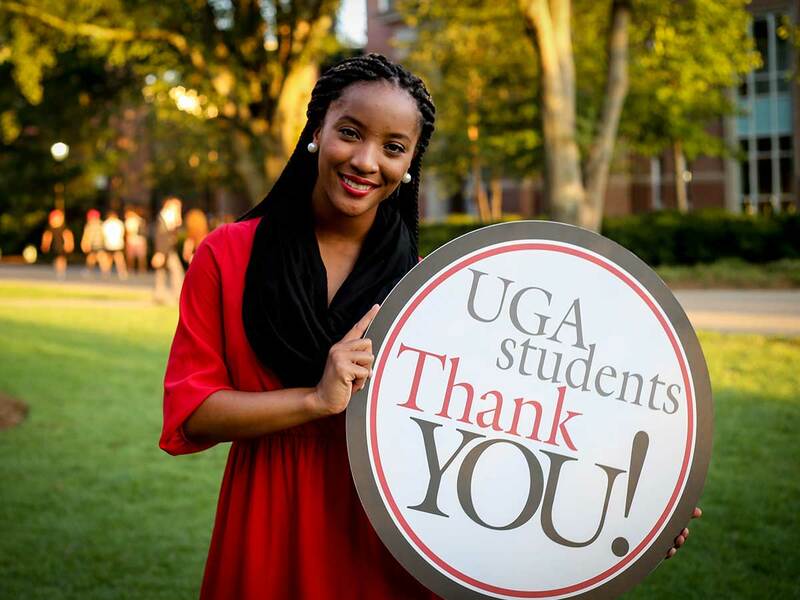 Join SAA today by making a $20 donation. 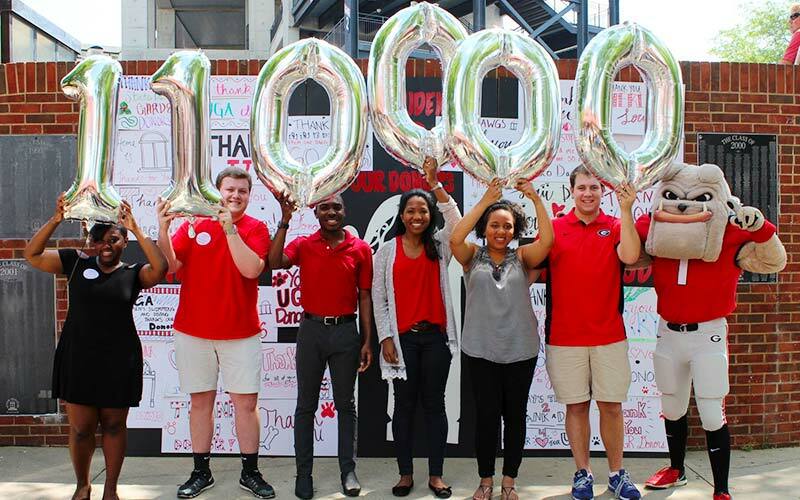 $10 goes to the Georgia Fund, which supports scholarships, and the remaining amount can be designated to a school, college, department or program of your choice. 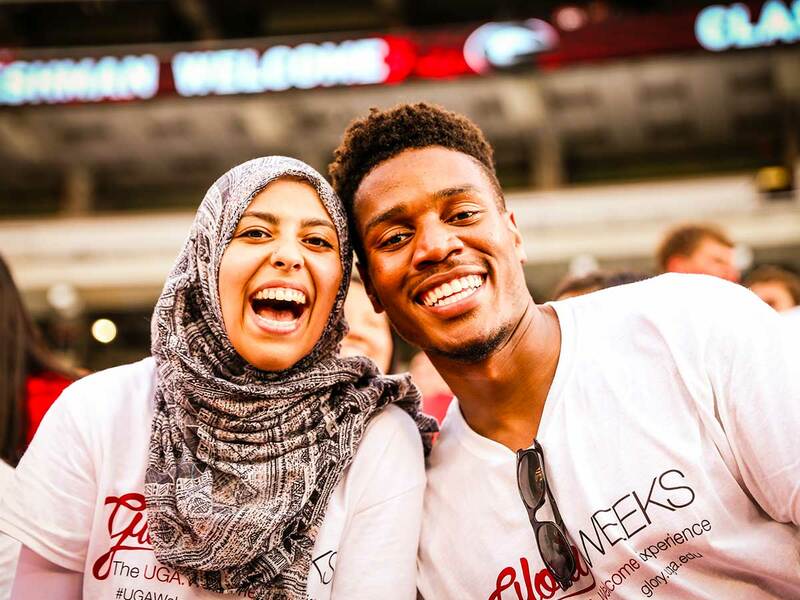 When you join SAA, you not only remove barriers to education for other students, but also open up new possibilities for yourself through a variety of events and activities! 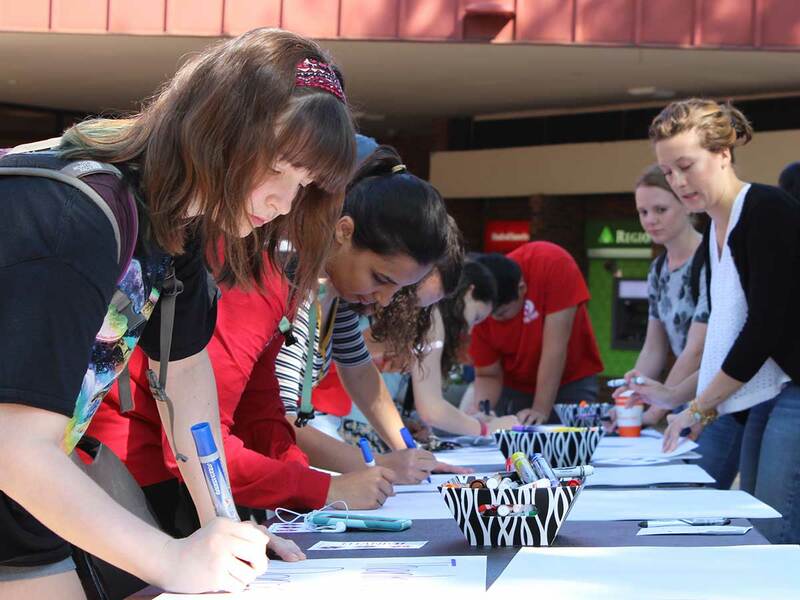 Get involved by volunteering during Founders Week, Ghost Tours and Homecoming. As a Student Alumni Association donor, you can attend all of these events at no extra cost to you! 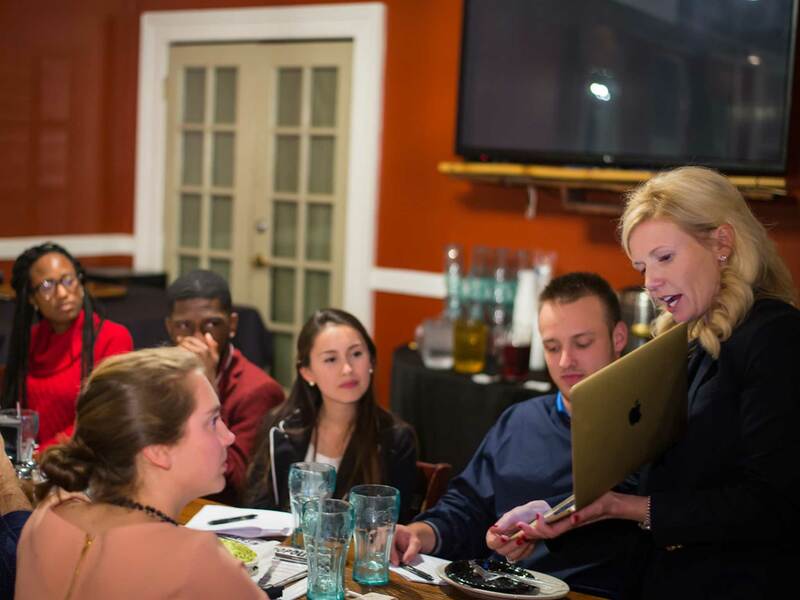 Once a month, UGA alumni from a variety of fields host a lunch-and-learn session on campus where students can make connections and get guidance on their career paths. 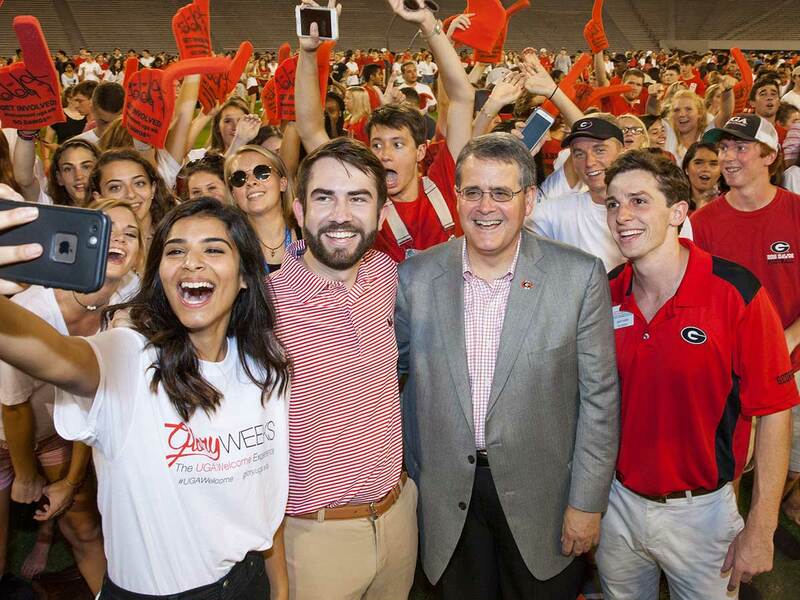 Cheer the Dawgs to victory over Auburn this fall! During the week of November 5, enjoy free giveaways to help you show your school pride as we prepare to keep the tradition of the “Deep South’s Oldest Rivalry” alive! Connect with alumni and 10 other Bulldogs over a great meal at a downtown Athens restaurant. 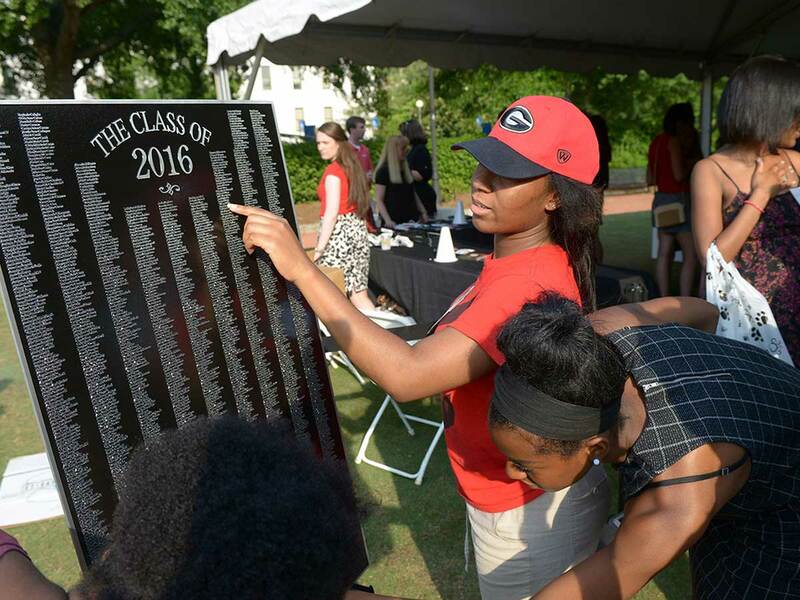 Celebrate the birthplace of public higher education in America with a weeklong series of events that honor Georgia’s history and traditions. SAA members enjoy a free Founders Week T-shirt, food, music and other giveaways! 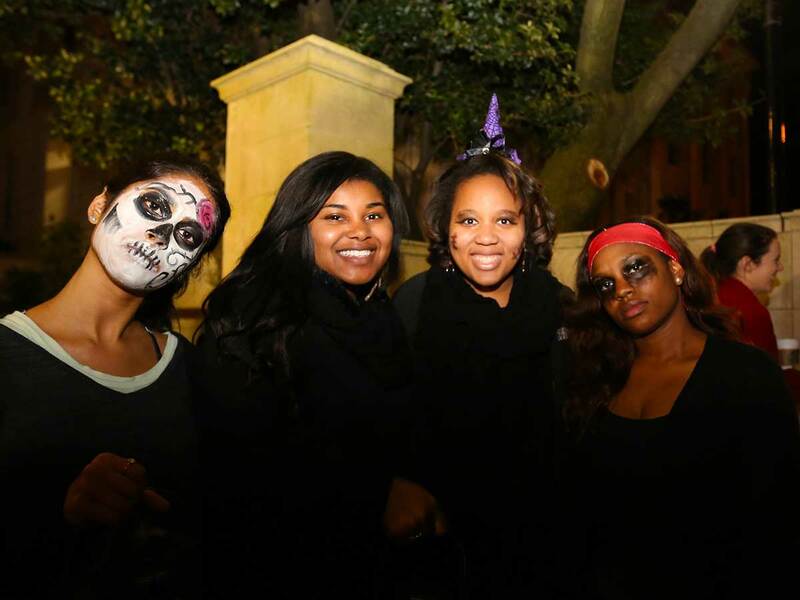 Around Halloween, SAA collects non-perishable food items for the UGA Student Food Pantry while hosting free, historic Ghost Tours of North Campus with reenactments. Participate in street/window/banner painting, float building, lip-sync competition and so much more! Become an official Tradition Keeper! 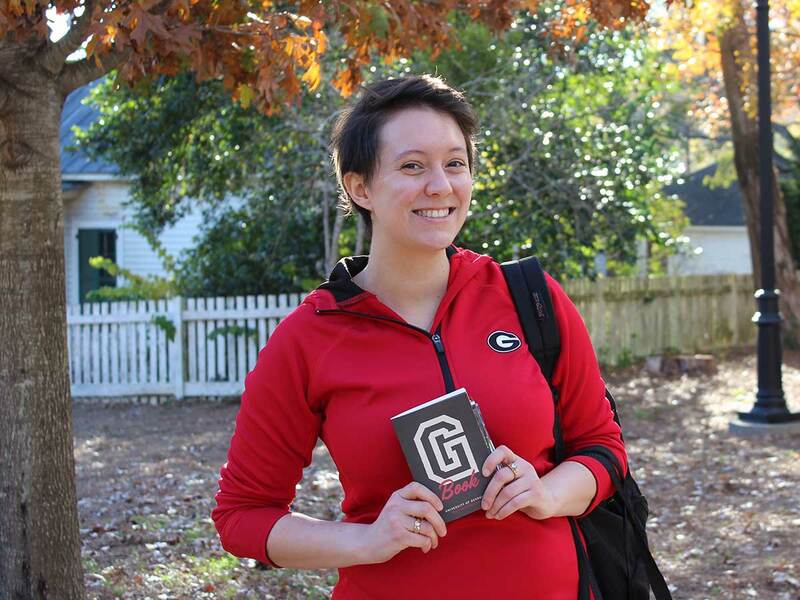 Participate in Tradition Tuesdays and complete your G Book, earning Georgia swag at each milestone of your journey.